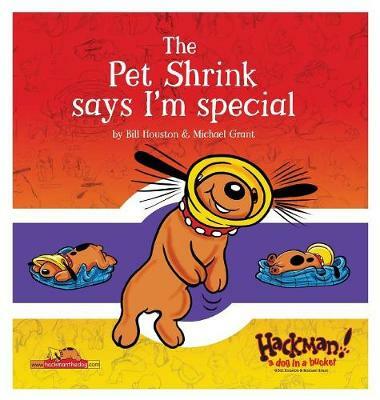 Hackman or 'Hack' to his friends, family and shrink, is very set in his ways. Rarely stuck for an answer, he feels he has a Sgt Bilko rapier-like wit, but deep down, he's as insecure as the rest of us. He worries about being laughed at and assumes he's part of a 'con' before it happens. This gives him a very blinkered view of life...and the bucket doesn't help either! 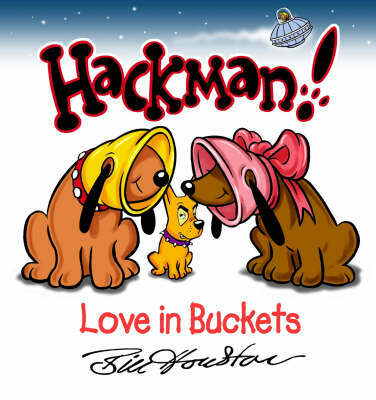 !His persistent 'medical problem' means the continual wearing of his 'bucket' and leads to constant visits to a pet shrink of dubious repute.Follow his hilarious adventures in our first two pocket books and get a rare insight into the messed up world of this adorable bucket-wearing spaniel, whose character appeals to young and old alike...the young love his cuteness, and teenagers and adults empathize with his numerous insecurities and problems. Buy A Dog's Life by Bill Houston from Australia's Online Independent Bookstore, Boomerang Books. Born in Corby, Northants, Bill Houston has worked as a commercial artist and designer for many years and has a finely-tuned gift for cartoon characters. Having worked as a licensing artist on many established series, including Disney, The Simpsons, Teenage Mutant Ninja Turtles and Garfield, he set about creating a character of his own. 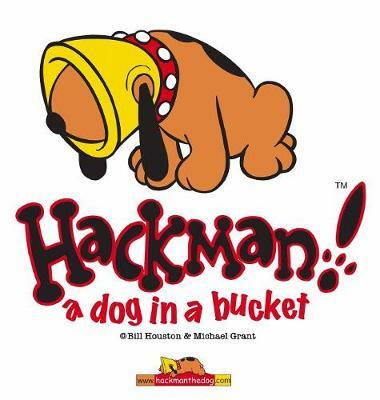 The idea for Hackman was born when Bill encountered a cute-looking dog wearing a bucket collar at a vet's practice.